The lines between the physical and digital worlds have started to blur and will continue to do so until a seamless integration into our everyday lives. Augmented Reality (AR) is the tool that allows us to blend the digital with the physical. A consumer will expect to have instant access to their favorite store on the go. Browse through the available products, try them on, customize them, share them with their friends and make a purchase. Anytime, anywhere. Apple has recently released their new operating system, the iOS11. The new operating system, has been created with AR capabilities implemented through the ARKit. The ARKit is a new framework that allows for easy creation of outstanding augmented reality experiences through the iPhone and the iPad, it achieves this through a number of features. The True Depth camera is able to track the position, topology and expression of the user’s face with high accuracy and in real time. This would allow a device to conduct a face analysis, read the mood of the user and to collect the user’s emotional reactions to his/her digital experience. Accurately tracks the physical world. Uses a combination of camera sensor data with Core Motion data to accurately sense how the device moves within a room, without needing any additional calibrations. This could be used to drop pins in all the corners of a room/floor, which would enable the device to measure the distance between each corner and generate an accurate floor plan. The possible uses for this technology are many, including interior design, and construction. The ARKit allows the iPhone and the iPad to analyze the scene presented by the camera view and find horizontal planes within a room. It detects horizontal planes such as tables and floors, while also capable of tracking and placing smaller feature points. The camera sensor is used to detect the amount of lightning in the environment in order to generate the same amount of lightning on the virtual objects. These features come in play when generating accurate AR objects and they can be applied to AR apps that would allow the user to see how a product of interest would match their chosen environment. An example of this would be an app that allows the user to select a piece of furniture and then view it as AR in the user’s room of choice, effectively showcasing the furniture piece and simplifying the purchasing decision. ARKit runs on Apple A9, A10 and A11 processors. Their performance enables fast scene understanding and the creation of detailed and compelling virtual content on top of a physical environment. Within the immediate future, mobile devices that have AR capabilities at their core will spread through the market. The consumer will get used to interacting with AR, so much so that AR functionality will be expected from all the retailers and services that the consumer utilizes. 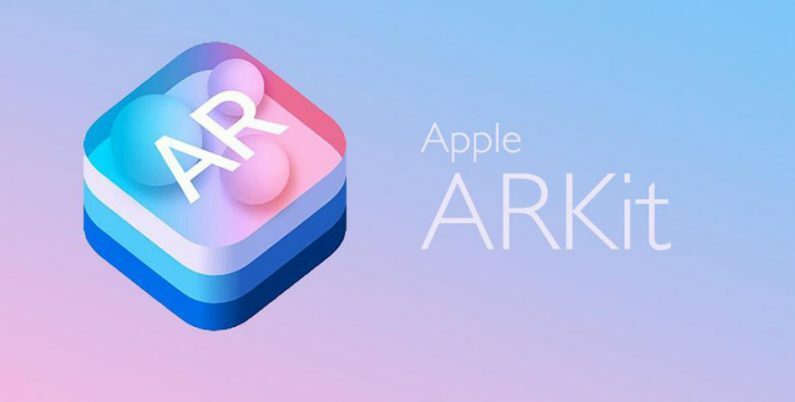 Apple’s announcement of the iOS11 and the ARKit, is a wakeup call to any company that has neglected research and development of AR functionality. Adapting to change is critical in order to remain relevant and avoid becoming obsolete. There is no stopping the upcoming evolution of human interaction with the digital world, AR is the future, the question is, are you ready for the future?